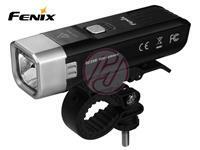 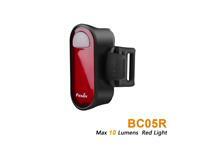 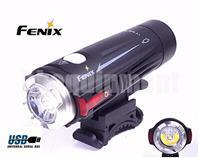 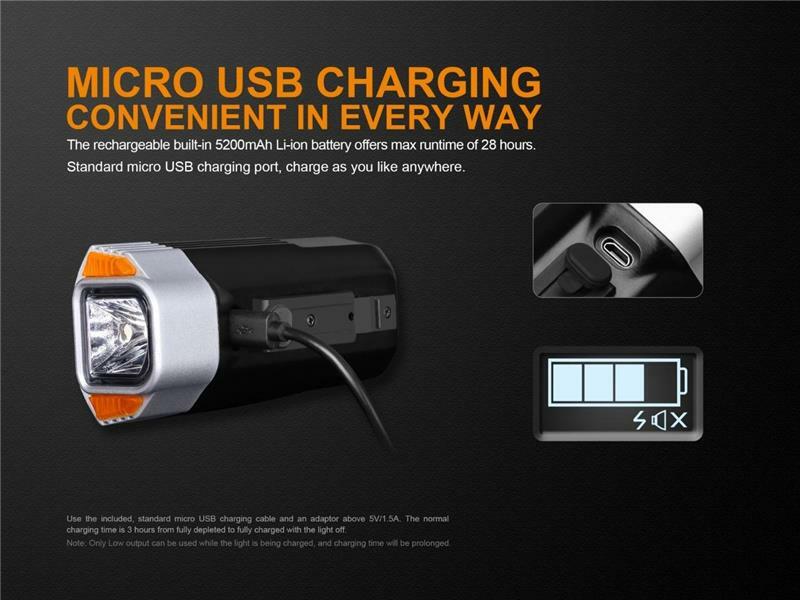 The Fenix BC35R is an all-round USB rechargeable bicycle light. 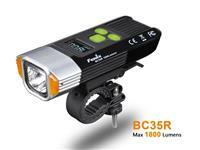 The max output is 1800 lumens, making it a tough performer not only for city commuting, but also for country cycling. 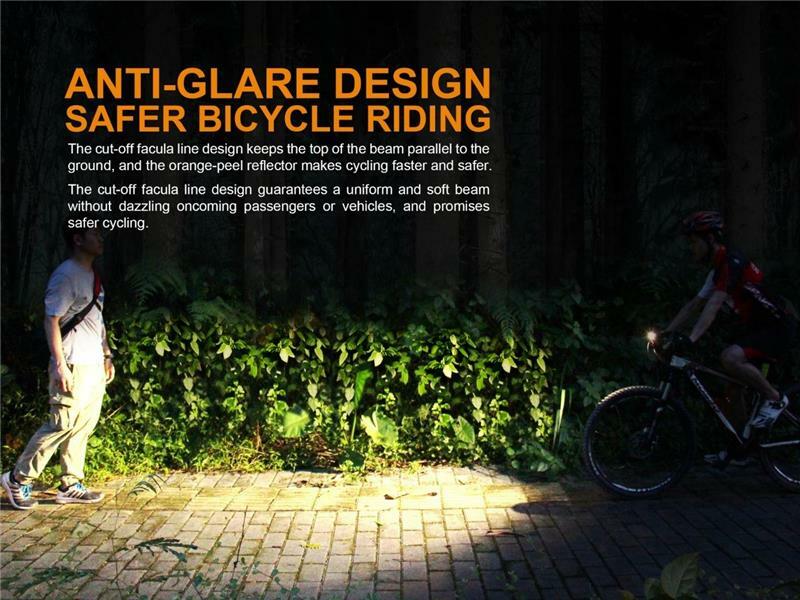 The innovative cut-off facula line guarantees safer cycling by not dazzling oncoming traffic, whether on foot or in vehicles. 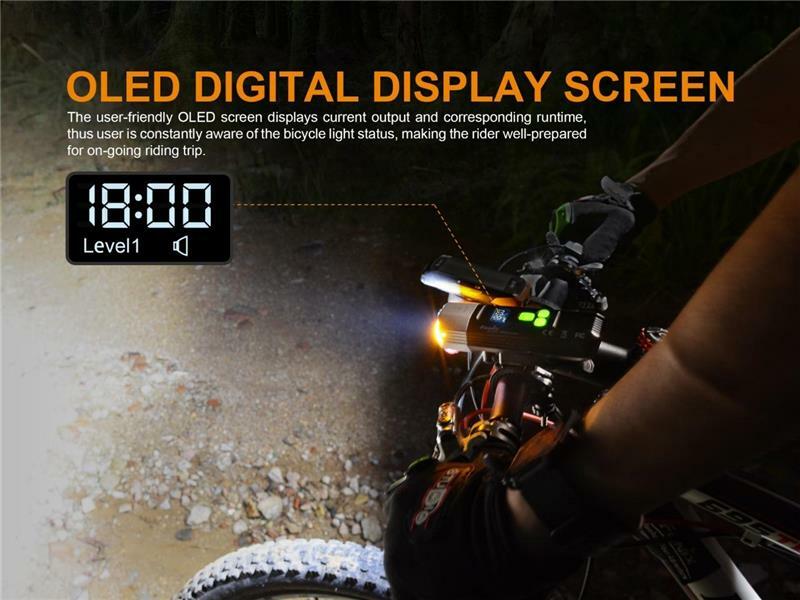 The OLED screen displays the current output and corresponding runtime, thus riders are constantly aware of the bicycle light status. 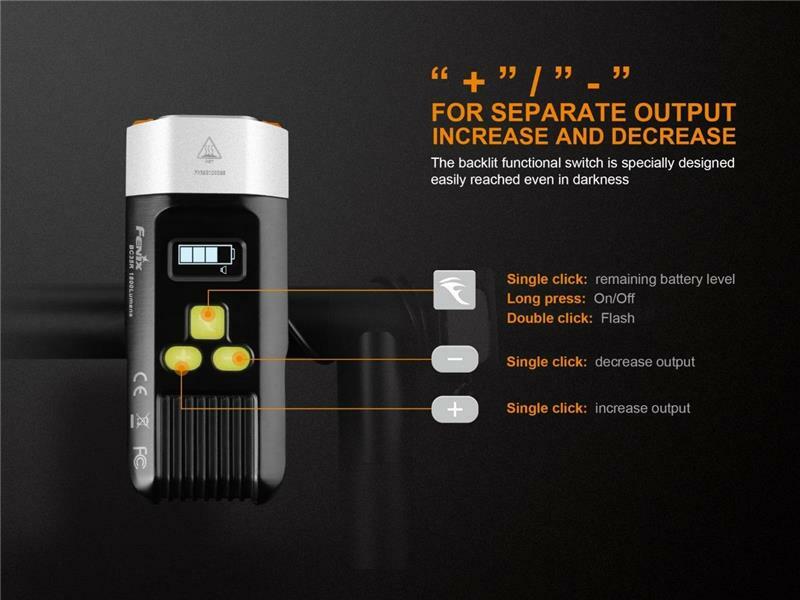 The remote pressure switch makes instant operation possible during cycling, and changing road conditions can be abruptly dealt with. 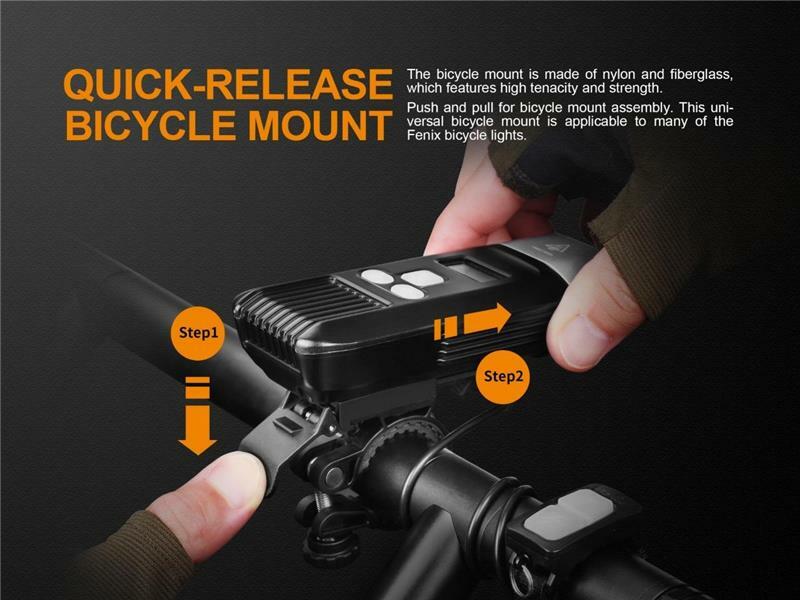 The bicycle light has built-in anti-theft protection which smartly monitors users’ bicycles. 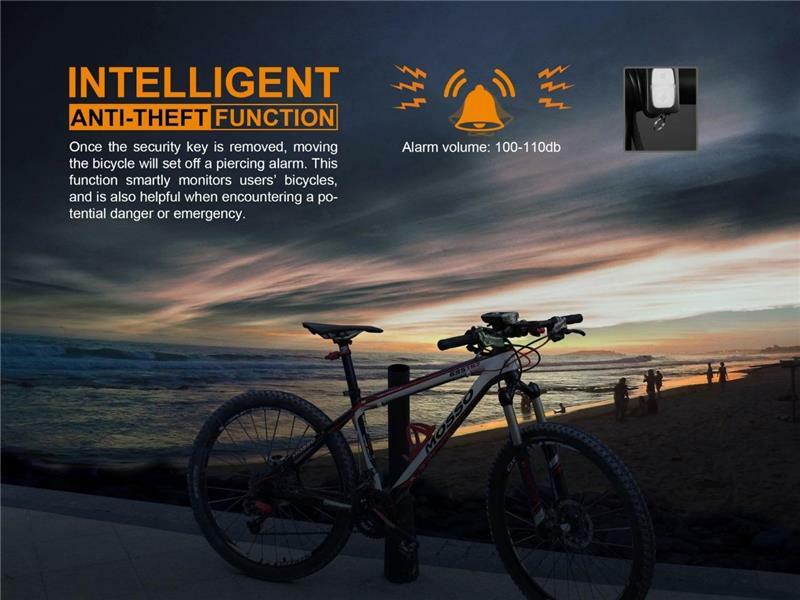 Moving the bicycle will set off an alarm; also helpful when a potential danger or emergency is encountered. Features are: built-in 5200mAh Li-ion battery, anti-glare facula, high output of 1800 lumens, intelligent anti-theft, digital screen display, and remote pressure switch operation. 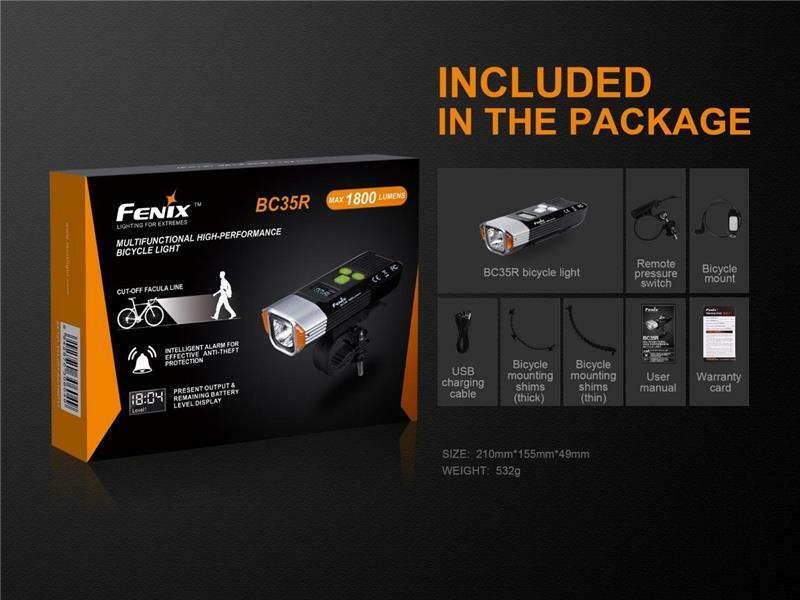 Grab your BC35R and don’t miss the opportunity to have fun riding!